ADD ONS: Are net per person and mandatory for all passengers. Includes: Cruise's fuel surcharge, Galapagos National Park fee, transit control card, tips for guides and crew, selected wines, spirits, cocktails, beers, coffees, tea, as well as bottled water, juices and soft drinks are complimentary in all bars and lounges (not included premium champagne, wine and spirit selection, whiskies, cognacs, brandies and beers of selected brands, and caviar). NOT INCLUDED: Transfers from the Hotel to the Airport to take the flight to the Galapagos Islands. Round-trip airfare from Guayaquil or Quito to the Galapagos Islands and ticketing fee. Government taxes are not included. Consumption from the frigobar located in the suites are payable by the guest and at the rate indicated on the menu. (Elite program include soft beverages from minibar). The Galapagos Islands and/or other tax fees (not determined by Canodros S.A.) and the Canodros S.A. rates are subject to change without prior notice. Children under 12 years of age pay 50% of the rate accompanied by an adult. For Holiday’s cruises children under 12 years of age pay 75% of the rate accompanied by an adult in the same cabin. One discount applies per cabin. Children under 7 years of age are not permitted on board. ELITE PROGRAM: Applicable for Renaissance Balcony and Majestic Balcony suites categories, services included in the program are butler service (24 hour assistance), bottle of champagne in suite upon arrival, assistance for unpacking your luggage (upon request), luxurious bathrobes, linens and towels, room service (available all day up to 22:00 hours), soft beverages from the mini bar, afternoon canapés served at your suite, exotic amenities for the bathroom, fresh fruit and local handmade chocolates in suite, selections of a variety of pillows, environmentally friendly beach bag, cloth drying and shoe shine service through the cruise, personalized stationary at your suite, exclusive cruise documents and online check in process. Each suite will be equipped with a 32" flat TV, blue Ray disc player with a special selection of movies, new elegant linens and special towel selection, Bose Sound Dock Series II digital music system. NOTE: These rates are per person in double occupancy. Single and Triple occupancy rates in Renaissance, Majestic, Deluxe, or Classic Suites are available upon passengers’ request. Cruises include: Guided visits to the islands, all meals. Consumption from the frigobar located in the suites are payable by the guest and at the rate indicated on the menu. (Elite program include soft beverages from minibar). The Galapagos Islands and/or other tax fees (not determined by Canodros S.A.) and the Canodros S.A. rates are subject to change without prior notice. Children under 12 years of age pay 50% of the rate accompanied by an adult. 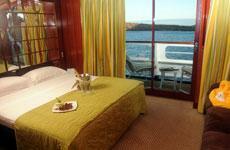 For holiday cruises children under 12 years of age pay 75% of the rate accompanied by an adult in the same cabin. One discount applies per cabin. Children under 7 years of age are not permitted on board. 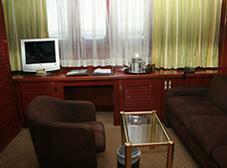 M/V Explorer II suites average 250 sq. ft. and offer: Private bath with marble vanity (personal hair dryer) and refrigerator. 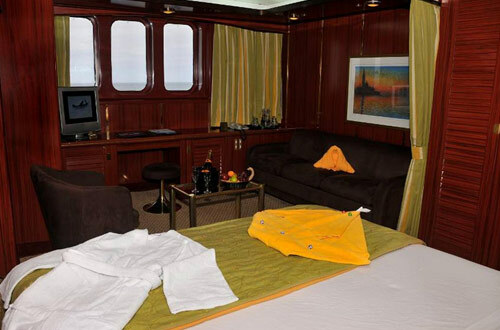 All suites are equipped with a television connected to an internal ship-board video system that offers three channels, 24 hours a day: 1. Entertainment movies, 2. Documentaries on the Islands or Natural history in general and 3. The daily program. 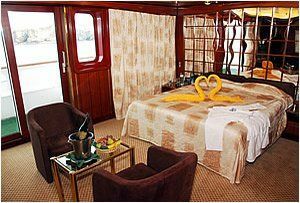 All suites include either two twin beds or one queen bed and small sitting area, and a telephone for national or international calls. Located on the Explorer Deck, they offer the ultimate amenity: a private veranda. They feature three full-length wardrobes. Average suite size: 287 sq. ft./26.66 sq. mt. Located on the Erickson Deck, they offer the ultimate amenity. 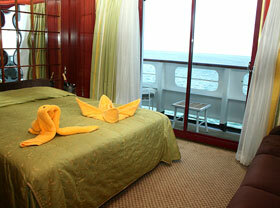 They are spacious and have three panoramic windows that overlook the bow of the ship. They feature three full-length wardrobes. Average suite size: 284 sq. ft./26.38 sq. mt. Located on the Erickson Deck, they feature three picture windows and two full-length wardrobes. Average suite size: 215 sq. ft./19.97 sq. mt. Located on the Marco Polo Deck. They feature three picture windows and two full-length wardrobes. Average suite size: 235 sq. ft./21.83 sq. mt. 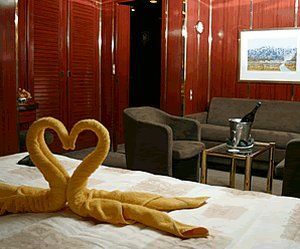 Located on the Columbus and Magellan Decks. They feature a spacious walk-in closet and a curtain separating the sleeping and seating areas. Columbus Deck: Suites No. 334, 335, 336, 337, 338, 339, 340, 341, 342, 343, 344, 345 - 250 sq. ft./23.23 sq. mt. Suites No. 246, 247, 248, 249 - 240 sq. ft./22.30 sq. mt. Suites No. 250, 251, 252 - 210 sq. ft./19.51 sq. mt.